Before I start, my blog has a slightly new look. I just had to go for the pink, I couldn't help myself. I also made some social media buttons for the sidebar. What do you think? 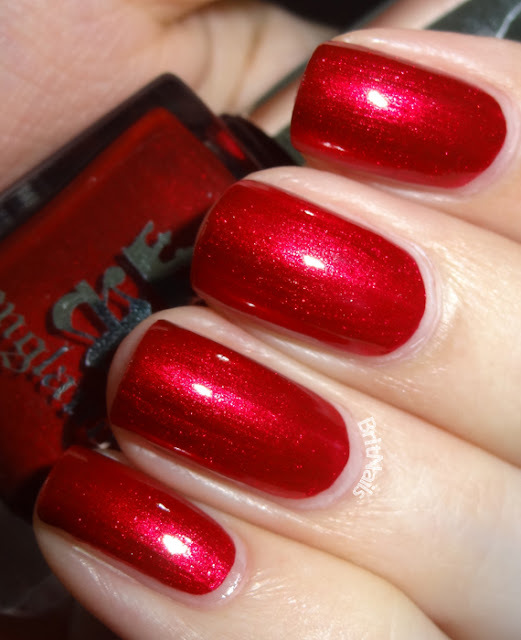 I know that everybody has heard of a-england by now because they're very popular (and rightly so!) 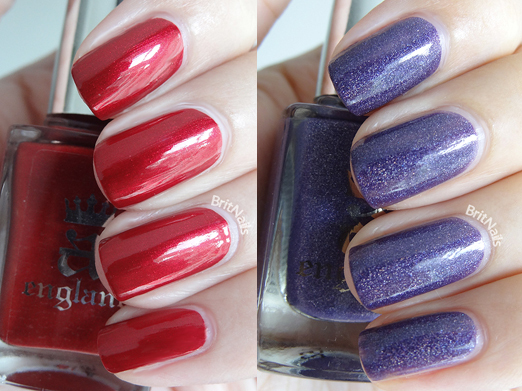 but I love my e-englands so much I just had to swatch them. First we have Lady of The Lake and Perceval, of The Mythicals collection, which I recently got in the Mythical Fair sale. Click the jump for the post! 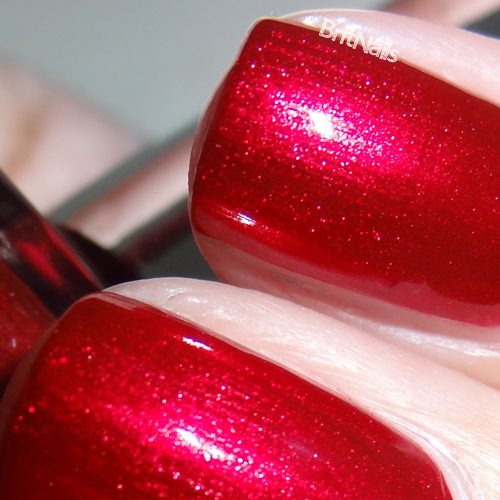 Perceval is a stunning ruby red with a deep glowing shimmer. I used two coats for full coverage and finished with top coat. The formula is lovely, the first coat maybe a tiny bit streaky but the second coat finished it off perfectly. 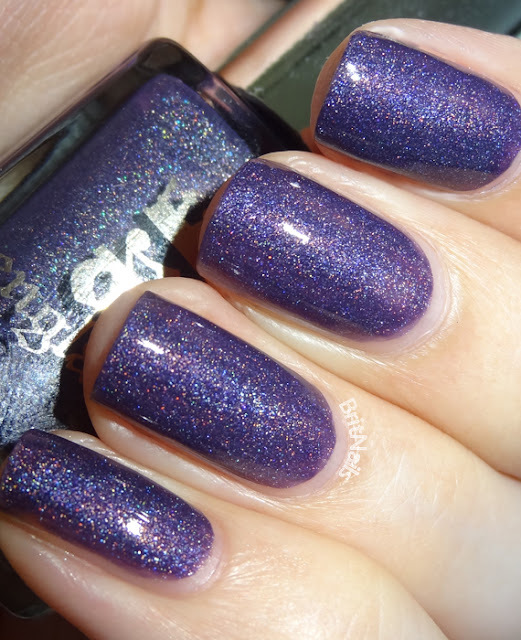 Lady of The Lake is a dark purple packed with holo micro glitter (a little more purple in real life) I used two coats and the formula is even better than Perceval, wonderfully smooth and manageable. Stunning colours, I think I might have to have them all! 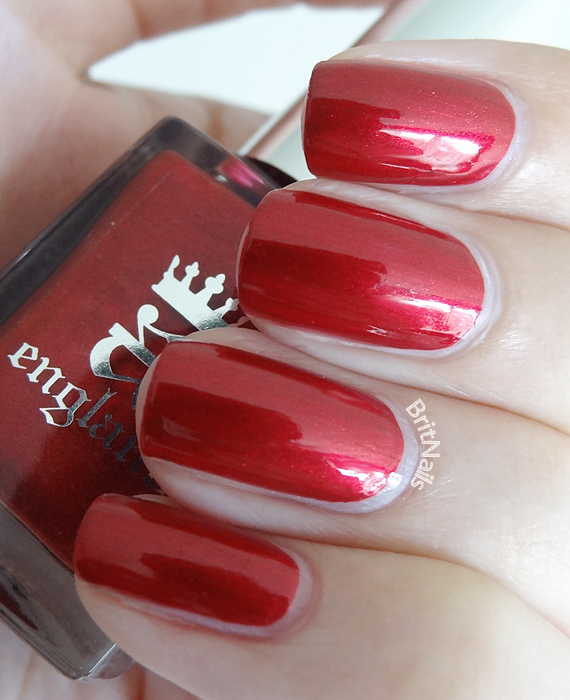 Do you own any a-england? They're available from a-england.co.uk with free delivery! I was going to get perceval but I have one just like it. It is gorgeous though! I got Lady of the Lake in the sale too and absolutely love it! 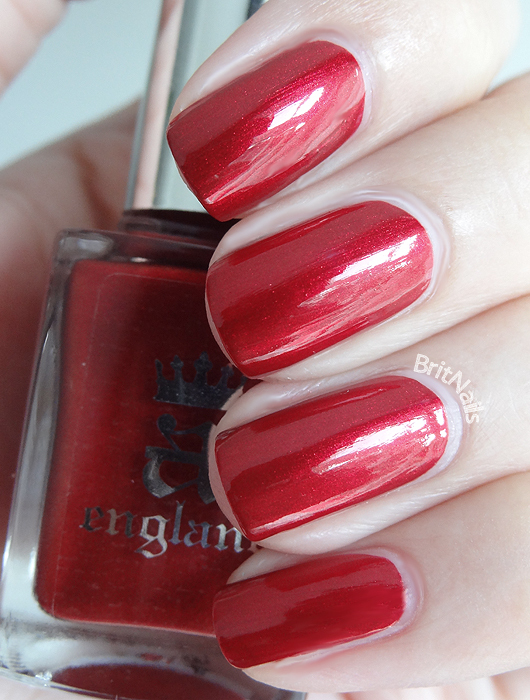 A-england do such amazing colours :) Perceval is my favourite red! These are both so pretty! I have both of these coming to me from the sale and I can't wait to get them. 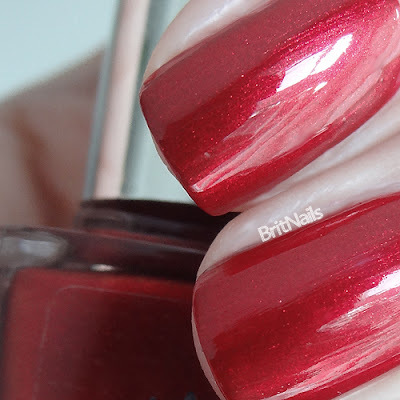 Also, you're nails are gorgeous!